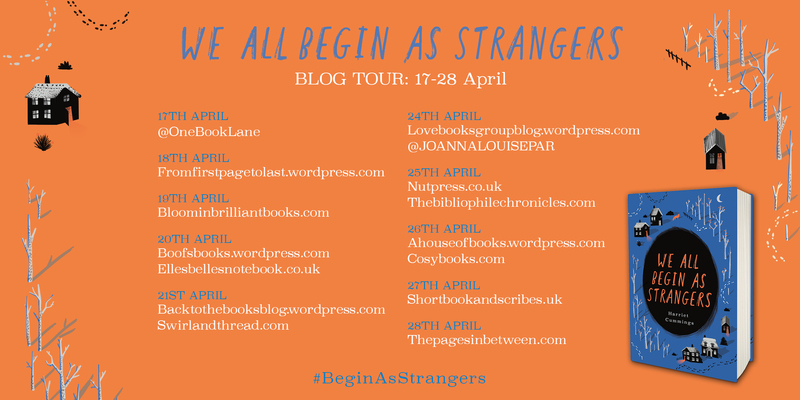 I’m delighted to be on the blog tour for We All Begin as Strangers by Harriet Cummings. It’s the ideal read for fans of The Trouble With Goats and Sheep and Elizabeth is Missing, both of which I loved. It’s 1984, and summer is scorching the ordinary village of Heathcote. A mysterious figure is sneaking into homes through backdoors and open windows. Dubbed ‘the Fox’, he knows everything about everyone – leaving curious objects in their homes, or taking things from them. Inspired by a real 80s mystery, and with pitch-perfect characters, WE ALL BEGIN AS STRANGERS is a beautiful debut novel you’ll want to recommend to everyone. This book had great appeal for me as soon as I heard about it. Based around a true story of somebody who, in 1984, crept into people’s homes and observed them and sometimes kept a little souvenir of their visit, I loved the premise of a community dealing with such an unusual situation. I don’t know why but I thought Anna, the person that goes missing during the fox’s reign of terror, was going to be a child so I was a bit surprised when she turned out to be a fully grown woman. The community comes together to an extent as they deal with the events of the hot summer but yet there is a sense of mistrust as it could easily be any one of them. The main characters are Deloris, Jim, Stan and Brian really. I liked Deloris. As the book starts she is watching Dallas and it took me right back to the era. She mentions having a video recorder and I remember clearly us getting our first one. There’s a real sense of time, place and atmosphere in this book. Actually, I liked Jim, Stan and Brian too. All have flaws but all are essentially good people. I did find it very hard to put ages on the characters, somehow expecting them all to be older than they eventually seemed to be. I don’t know if I was missing something or whether the author intended to be quite mysterious about certain facts. With the fox at large the book had a sinister undertone which freaked me out a bit reading with just a night light at bedtime. I kept hearing noises and in my mind it was the fox him or herself. It definitely had an impact on me! As with lots of books based around true stories I think the author was constrained a little by trying to weave real life events into the story but overall it worked well. It’s been billed as similar to The Trouble With Goats and Sheep, Elizabeth is Missing and The Unlikely Pilgrimage of Harold Fry and I think that’s accurate although We All Begin as Strangers has a darker feel to it. This is an intriguing and well constructed story of a small village community who don’t know each other as well as they think they do. We do all indeed begin as strangers. With thanks to the publishers and Netgalley for the review copy. We All Begin As Strangers was published on 20th April 2017 by Orion. My thanks to Virginia Woolstencroft at Orion for the place on the blog tour. Please go and check out the other stops on the tour. Harriet Cummings is a freelance writer with a background in history of art and gender studies. 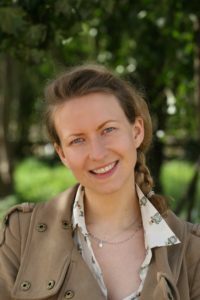 As a script writer, she has had work performed at Edinburgh Fringe Festival, as well as independent venues around London. While studying at Faber Academy, Harriet threw herself into her first novel and hasn’t looked back since. 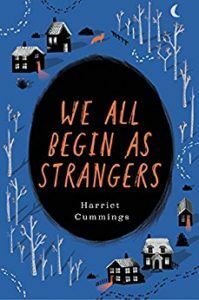 WE ALL BEGIN AS STRANGERS is inspired by real events that occurred the summer that Harriet was born in the village where her parents still live. Residents in Leighton Buzzard, Dunstable, Tring and other surrounding villages still discuss the summer of 1984 and the legend of ‘the Fox’. She now lives in Leamington Spa with her husband and springer spaniel. Follow Harriet on Twitter and Facebook or find out more by visiting her website. Sounds like my kind of book – loved Goats and Sheep! Great review. Shall put it on my wish list. Definitely your kind of book, Vanessa! I just love the creepy vibe of this book! Great review! Thanks, Vicki. Yes I think people did seem older then although maybe it’s because we were younger! !